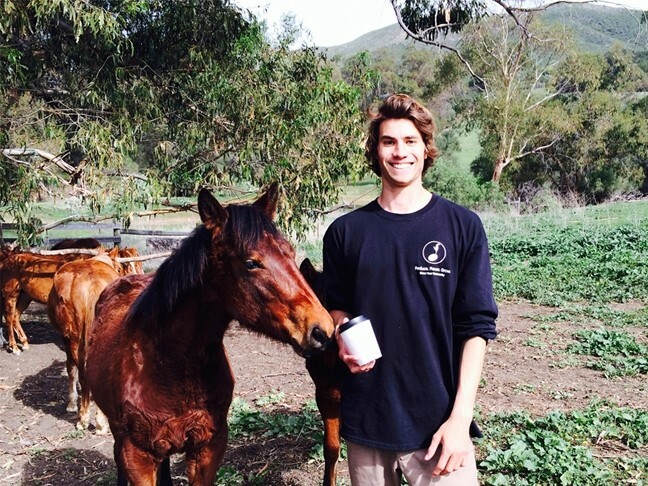 Two years ago, Cal Poly senior Alex Henige was driving down the 101 toward his home in San Diego when he saw something distressing. He immediately began brainstorming. As a landscape architecture major and packaging and industrial technologies minor, Henige’s prevailing interest has been finding creative solutions for the problem of consumer waste. In an earlier school project, he designed a trash can that doubled as a food-sharing receptacle for the homeless. It featured labeled compartments that would allow consumers to share useable leftover food in a way that was neither wasteful nor unsanitary. For the past two summers, Henige has worked with other Cal Poly students to develop responsible, community-based projects. And it was in South Africa, where he and a group of students led by landscape architecture professor David Watts were building a playground at an AIDS orphanage, that the trash problem popped up again. 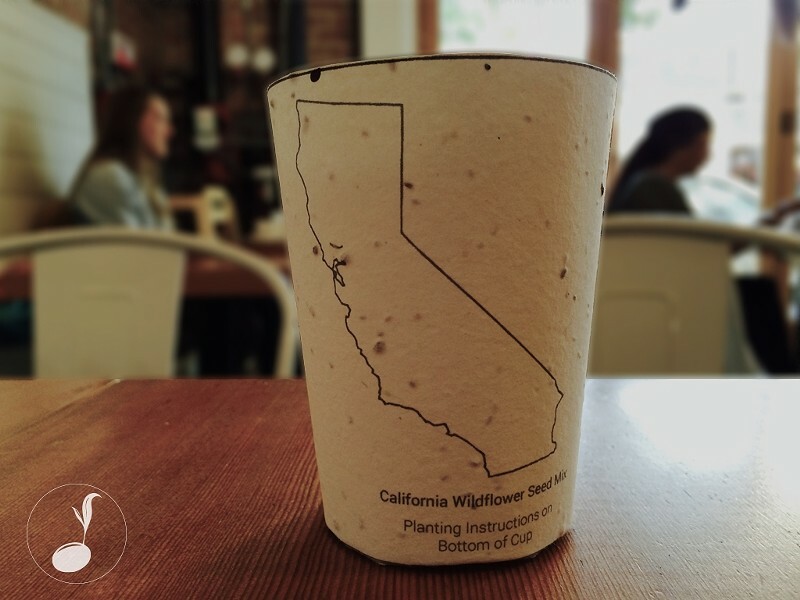 LET IT GROW: For his senior project at Cal Poly, Alex Henige has developed a prototype of a biodegradable, plantable coffee cup that contains seeds of around 20 native California flora. Since then, he’s run with that concept and created a small product with a potentially global impact: the world’s first plantable coffee cup. On the product’s Kickstarter page, launched Feb. 6 and ending March 15, Henige outlines the thinking behind his plan. Reportedly, Americans throw away nearly 150 billion coffee cups per year. Although most coffee cups have recyclable parts, they can only be reused up to two or three times before they wind up at the dump with the approximately 220 million tons of trash generated by Americans on an annual basis. Henige’s invention would, theoretically, fix that by using a paper-based cup that contains the seeds of native plants. All the consumer would need to do is unravel the cup after finishing drinking, soak it in water for five minutes, and plant it nearby. If you decide not to plant it, the cup is compostable and, according to Henige, will biodegrade within 180 days. Experiments with mass-produced seed paper products haven’t fared so well in the past. In 2013, Katy Perry had the deluxe version of her Prism album printed with seed paper. The result was a biohazard boondoggle, spreading potentially invasive species in delicate ecosystems. Those species include around 20 types of California flora, ranging from the state poppy to local lupines, bluebells, and other native wildflowers. As of now, the cup is still in early development, with Henige and others still fine-tuning the manufacturing materials and processes on a small, handmade scale. In order to produce the prototype, he reached out to local and environmentally friendly companies. The seeds are sourced from a family-owned farm in Bolinas; the paper is a post-consumer, cotton-based variety made in San Diego; and the beeswax that lines the inside of the cup comes directly from Morro Bay. ECO WARRIOR: Henige is a landscape architecture major and recently founded Reduce. Reuse. Grow., a project aimed at alleviating consumer waste. But the question remains. Does it actually work? So far, Henige says they’ve had a 90 percent success rate with the cups, but they haven’t tested it out on an industrial scale yet. There is the possibility that the high temperatures of the paper press could adversely affect the seeds’ ability to germinate. That’s been one of the main impediments to full-scale production of plantable or even just biodegradable coffee cups. It’s difficult to achieve structural integrity in a coffee cup without a hardy plastic lining. A few years ago, Linnaea’s Café in downtown SLO tried a compostable cup, and within 30 minutes, the cup dissolved. Henige hopes, with more time, his will overcome such setbacks. The public arena is where this cup can either blossom or wilt. Already, the project’s exceeded its Kickstarter goal of $10,000 by more than $9,000 as of press time. It’s been shared by several national media outlets like Huffington Post, and Henige’s been receiving calls “every other 10 minutes” from major coffee manufacturers and the like. But for now, Henige has smaller, more realistic aims. As much as his coffee cup is designed to help alleviate consumer waste, it’s also intended as a restorative, community-based initiative that will help the local environment overall. Contact Arts Editor Jessica Peña at jpena@newtimesslo.com.